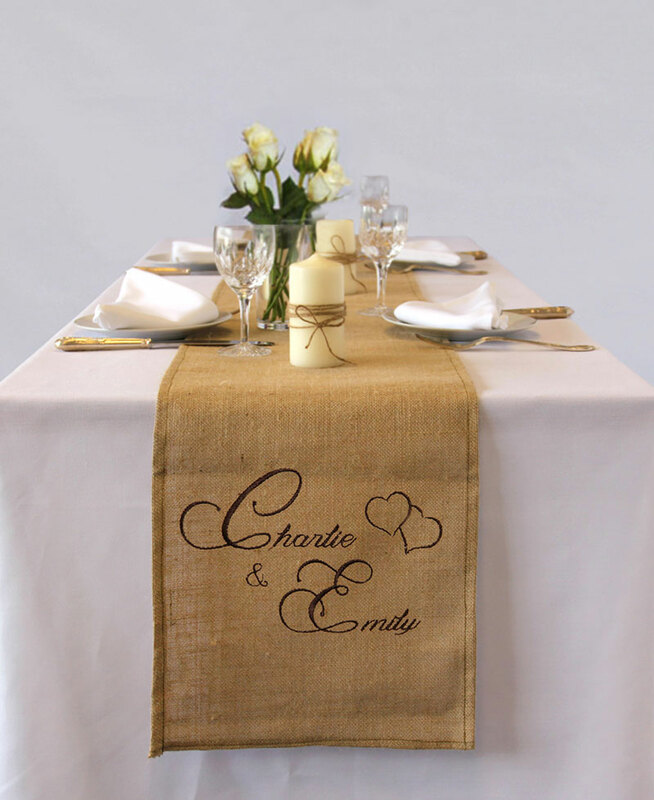 These beautiful jute table runners will bring elegance and rustic style to any wedding table. 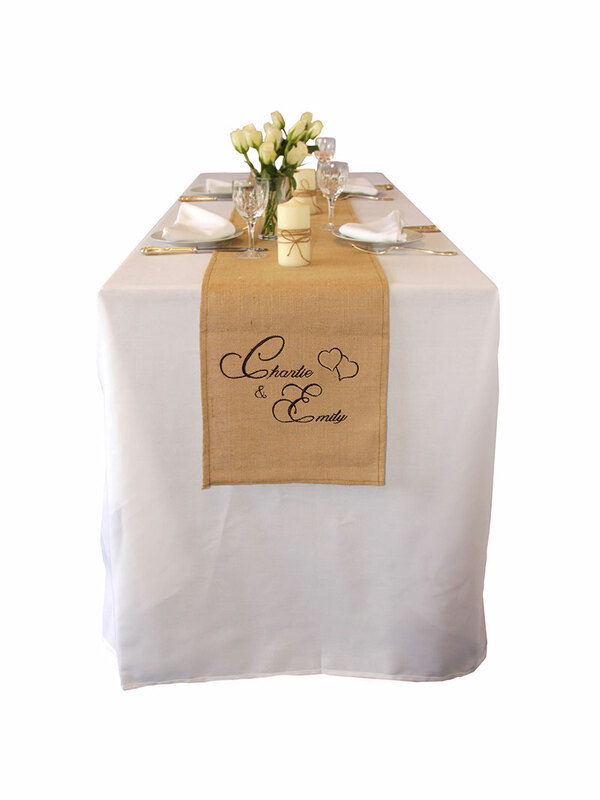 Now you can make the day even more special by using an embroidered table runner to decorate your top table or gift table. 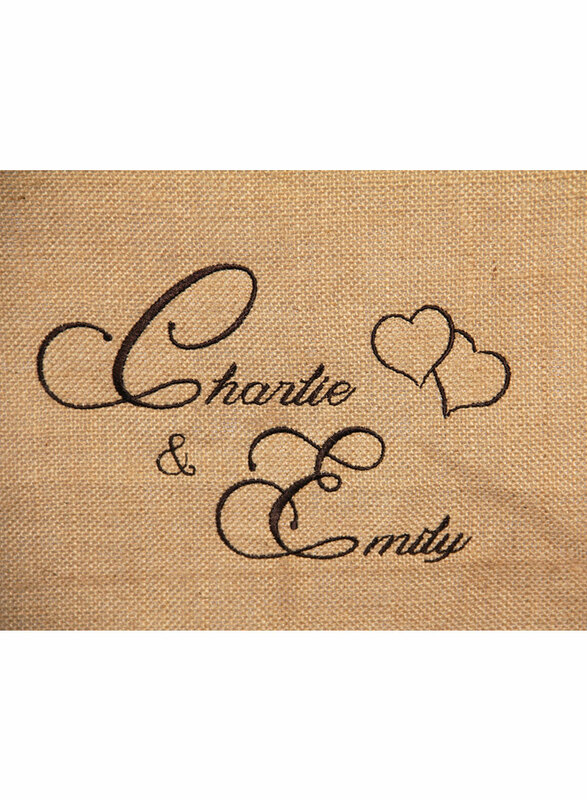 These runners would also be a lovely momento of your wedding day and they could be used for the anniversary parties that follow! 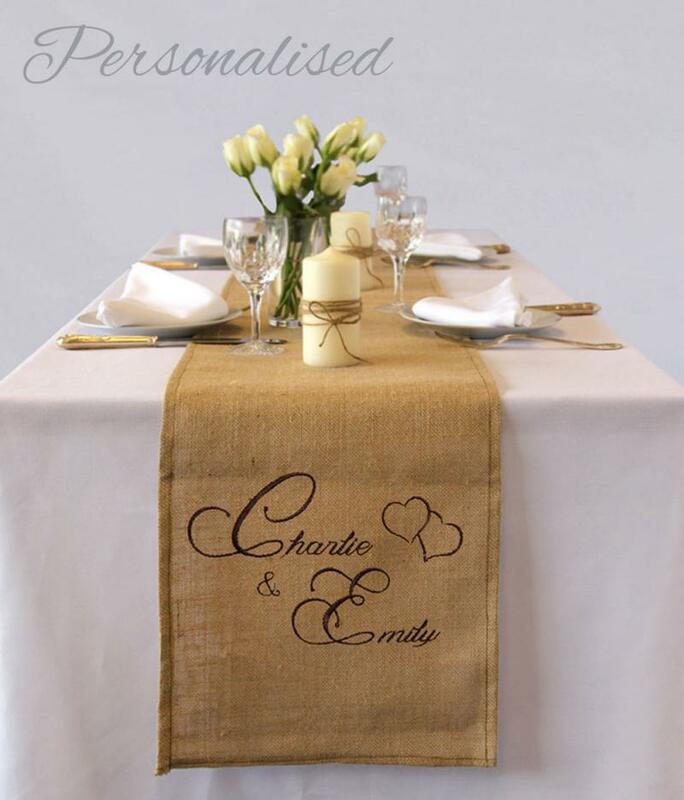 - All cloths are made from natural jute material, so have that vintage look and rustic feel. We can also make runners long enough to span the entire length of the top table, creating a sophisticated effect. 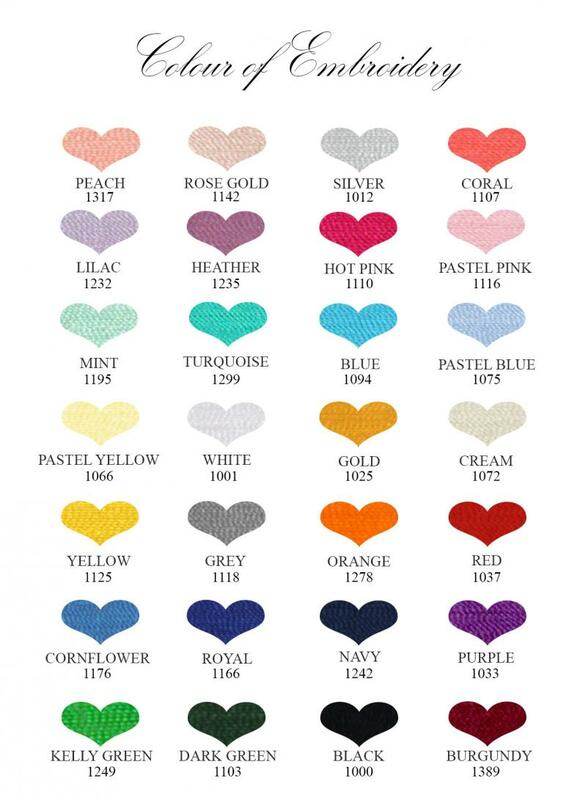 Just let us know the size you require. We recommend a runner length of 2.5 m and width of either 30 cm or 50 cm for standard trestle table.